The Ramaz Middle School hosted the National Geographic Geography Bee before winter break During the preliminary round of the Bee, history teachers administered either an oral or written bee composed of 35 questions to eager geography buffs. Then, the winners in fifth, sixth, seventh, and eighth grades returned for the final and championship rounds. 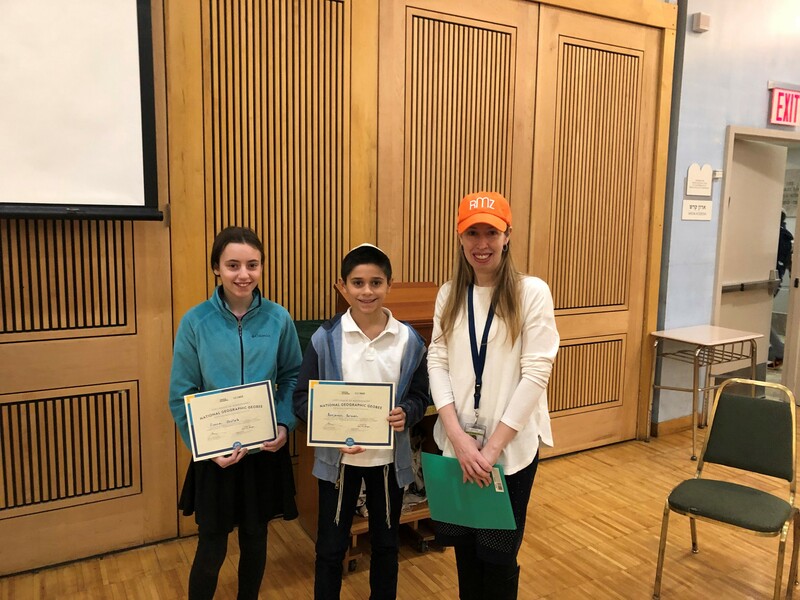 We are proud of our Geo Bee champions: First Place- Benjamin B.; Second Place- Gianna G.; Third Place- Jack F. Congratulations!